A marriage proposal is an event where one person in a relationship asks for the other's hand in marriage. If accepted, it marks the initiation of engagement, a mutual promise of later marriage. It often has a ritual quality. This wedding proposal was truly a fairytale. Malorie's favorite movie has always been Beauty and the Beast. She dreamed of walking down a staircase in a beautiful gown to have the man of her dreams waiting there for her. Malorie graced the "Beauty and the Beast staircase" of this historic residence only to have her dream come true. I've seen a lot of flashmob proposal. This one is far better for three reasons : _ First reason, it's NOT "Bruno Mars - Marry You" because this song is too obvious. Any flashmob "Bruno Mars - Marry You" is a proposal._ Second reason : there's several people (a dancer, waiters, salaryman, etc...) including kids. So people won't think it's a proposal._ Third reason, I really like how they trick the future bride-to-be by showing an another fake couple. So she thought : "it's his proposal ? No way. "The third reason is very very cleaver. And we can see her surprise reaction by claping.They all did a lot of works and it's great. What's the best way to propose to an inspiring baker? With cake in a bakery of course! Take a look at what happened when we helped Luis do just that! To learn more about what we do visit our website www.theproposers.co.uk. We have planned over 1000 proposals in the last five years with an 100% YES success rate so you are in safe hands with us! On June 9, 2012 I told Allison to meet me in Bryant Park for lunch. When she arrived I had her close friend meet her and walk her toward the steps of the park. Then, a woman unknown to Allison, came up and led her to the center table for a little show. I also had family and friends waiting on the side with instructions to pop out and join the band when they heard the song "Hey Baby, I wanna know if you'll be my girl"! of her friends, family and a bus full of 50 strangers! My girlfriend thinks she's going with her best friend on an interactive theatrical bus tour where the streets of NYC come alive through song, dance and comedy. Little does she know that streets will also be coming alive with the love of her family and friends, To be safe, I gave everyone umbrellas so she doesn't recognize anyone in background. With the help of three puppies I proposed to my longtime girlfriend in Central Park. She goes crazy for every puppy she sees, but can never spend too much time with them because she is allergic. So I thought of this sweet proposal idea. Everything took weeks of planning without her knowing. Mary and I have been married for 24 years. Everyone wants to know our proposal story, but I never officially asked her to marry me. We just decided to get married all those years ago. After nearly a quarter of a century, I thought she deserved a proposal that she could share with others. So, I decided to surprise her with a public proposal. I wanted to think of a really cool way to propose to my girlfriend, Janice. To give her the best proposal ever I came up with this song and video. I wanted to show her that not only do I love her but that she's loved by all our friends and family too. This was particularly important as she hasn't been able to see much of her family for 7 years since she moved to the UK and she misses them lots. David Grey admittedly auditioned for The X Factor for his girlfriend, Lauren Waguespack. After her audition, David dropped to one knee to propose. Do they make it to the next round together as newly minted fiancés? She set everything up for her own proposal and didn't even know it! She's just ecstatic when she realizes what's going on, doesn't know how to react. To elope, most literally, means to run away and to not come back to the point of origin. More colloquially, elopement is often used to refer to a marriage conducted in sudden and secretive fashion, usually involving a hurried flight away from one's place of residence together with one's beloved with the intention of getting married. This proposal was shot at Harding University, where Kristin teaches graphic design and art. Her artwork on the wall was an awesome touch by Nehemiah! We love this creative proposal. AcroYoga sequence that we used as a final presentation at our 200 hour Yoga Teacher Training graduation retreat ... only with a bit of a surprise ending!! Surprise Proposal on London Underground Train! Katherine's boyfriend Anthony takes her on a romantic flight through the skies - with a few surprises along the way. Congratulations to Katherine and Anthony on a terrifying but beautiful proposal! Although most potential couples discuss their willingness to marry for a significant amount of time before a proposal occurs, and may schedule a specific time and place for the proposal to be made, it can also be intended as a surprise. proposed to Jessica, my girlfriend of 5 years, on July 28th, 2018, in Holcomb Valley, with the help of many close friends. She had absolutely no idea it was coming. We agreed that we'd get engaged when she finished school, but since she only has 1 quarter left, I decided to surprise her. Some of our favorite things to do are camp and climb and rappel and be in the outdoors. I wanted my proposal to reflect that. Despite my stress and nervousness, the proposal went off without a hitch thanks to the planning that went into it and my amazing friends. We often talk about being so grateful that we can't see. This ended up being one of those moments; and when it happens to you, you will understand! Special thanks to our families, friends, the FLHS dance team, Kyle Downes of Kydo Entertainment, Jen Kealey and the Warde dance team, and everyone in the stands who heightened the moment! We hope this video reaffirms the power of love! Houston Rockets Dancer Gets Surprise PROPOSAL!!! Rockets Power Dancer Casey thought she was about to get trampoline dunked on by Houston mascot Clutch. Little did she know, behind the blindfold was her boyfriend, Travis Ross of the US Air Force, on one knee! Eddie wanted an epic marriage proposal for the love of his life Jessica. And who would be more epic than Jessica's Cheer Club? Between her Co-coaches, and both Jr. Charm as well as Sr. Charisma, Eddie was able to pull a wonderful surprise proposal at the 2015 Avon Valley Cheer Challenge. I asked my girl Brooke to marry me on the rooftop of our building. She wasn't prepared for THIS. If you're ready to propose, make it something she'll forgive, but never forget. GREATEST Surprise Proposal EVER EVER!!! Just as Emily was about to end her shift she was called to a country club where an old man had gone into "cardiac arrest". But what Emily doesn't realize is that she's in for quite a surprise that has her family and friends in attendance for a very special moment. See how it all goes down! She thought she was coming to a function for work. What she got was the day she'd been waiting for forever! This is the play by play video of Shawn's proposal to Cai'lin, on August 24th, 2013. Cinematography by Lucid Weddings out of Calgary, Alberta, Canada. Best Proposal Ever!! She had no idea what was happening! This was a huge plan i had for many months. it took the collaboration of many friends and family plus one very helpful police officer! you gotta watch to the end. hope you all enjoy. p.s. she will kill me after seeing this! Boyfriend uses family to organize an elaborate/festive marriage proposal! Andy proposes to Catherine through a Caricature in Disneyland! The caricature is by the very talented Kimmi! So I proposed to my GF with a movie trailer I made with her family and my family. I know I'm not the first to do this, but I did my best to make it original, funny, and heartfelt. Matt Still tells his girlfriend Ginny he has to work on a Saturday and gets Ginny's brother Charlie to take her see the Movie "Fast 5". As the trailers begin to play, Ginny hears a familiar voice on screen. 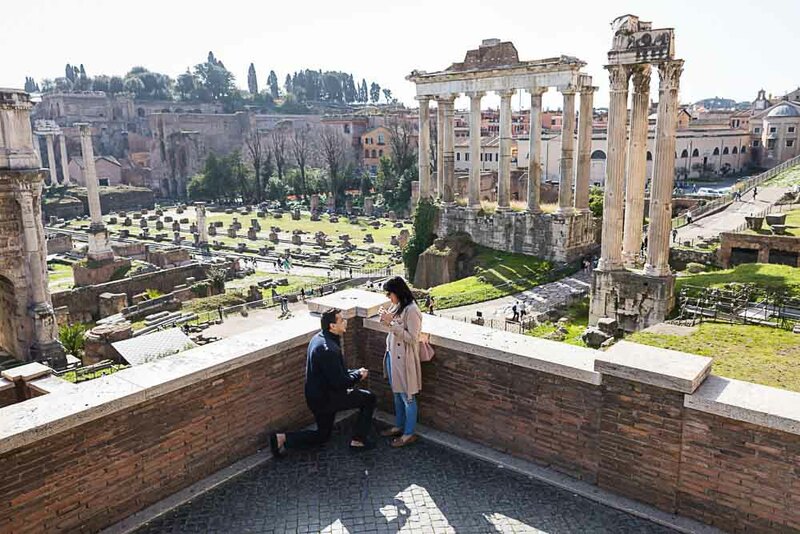 Watch the proposal that has now been seen worldwide! Matt and Ginny have made appearances on The Ellen Degeneres Show, CNN, The Today Show, Good Morning America, HSN, and many more both nationally and worldwide. Donita thought she was just going to a movie night at church. Little did she know...this "movie night" was a hoax, the room was full of her family and friends, and her life would soon be changed forever. Cutest proposal video 2017!!!! WILL MAKE YOU CRY!!! The best video of a surprised marriage proposal & wedding that Ive ever seen in Youtube. Indeed, this was carefully planned and great preparations were made that they were able to come up with this spectacular and enormous dancing mobbed, which then they never failed to amaze the crowd who were there and to millions of people watching on television and Youtube. So fellas sit back and enjoy! Alex surprised his lady with an incredible A Capella marriage proposal on the USC Campus with help from all the USC A Capella groups!!! A big thank you to everyone who made this day possible!!! Mr. Sweeney, a 6th grade orchestra teacher at Chippewa Middle School, arranged a special encore piece to propose to his girlfriend, Alanna. A typical Spring Orchestra Concert turned into an unforgettable evening. Your daily dose of hilarious videos that show just how real the struggle can get for young women who are still figuring it all out. A woman may decline a proposal for various reasons, and may not declare what the reasons are. If the woman accepts the proposal, she will typically assent to the man verbally and wear the ring during the time leading up to the wedding, known as the engagement. MARRIAGE PROPOSAL GONE WRONG!! SHE SAID NO!!! Public Proposal gone wrong. We did this prank just to see what kind of reaction we would get from the crowd. There were alot of people laughing & not many people helpful of someone who had gotten rejected.... We encourage all of our subscribers to help someone when they have fallen down . Rather than kick them while their already down. Embarrassing Girl Proposes To Her Boyfriend Gets Rejected !!! FAIL. James shocked his partner with a surprise engagement using the piano at London's St Pancras International. Luke had no idea he was about to be involved in the most romantic wedding proposal of the year. TopSecret loved creating this and it is one of the best gay wedding proposals we've done. Surprise Proposal in Seoul | We're Engaged! Beijing rich girl propose to a guy in the public and get rejected! A Beijing rich girl propose to a guy in the public, and offered to give him car and house as part of the proposal. But the guy rejected him directly and walk away. Jadi ceritanya tanggal 19 november 2016 3 hari setelah ulang tahun alifta saya memberikan kado yang tidak bisa dilupakan untuk alifta. 16 november adalah hari ulang tahun alifta, dan saya sengaja tidak memberikan kado apa-apa sampai tanggal 19 november. Lần sửa cuối bởi khoinguyen96, ngày 13-02-2019 lúc 02:43 PM.